The palatial Noor Mahal leaves you dumbfounded as soon as you set eyes on it. 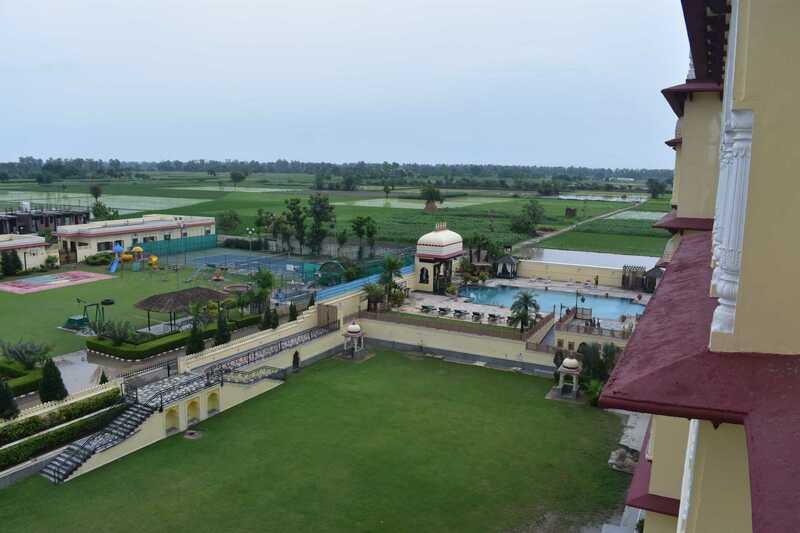 Located on the old course of the river Yamuna, and the land of the Mahabharata, this property spreads out across 8 acres and maintains the grandeur of the royal times. 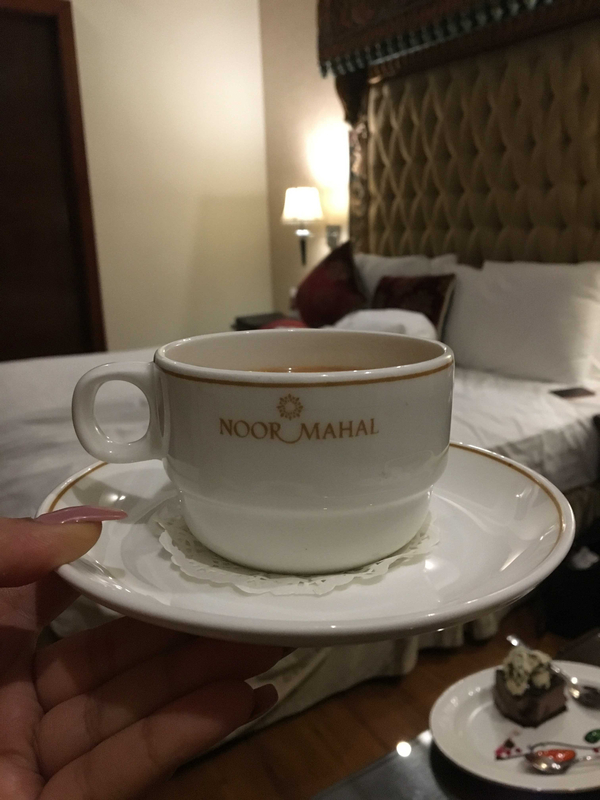 If anything, the team at Noor Mahal only adds to the splendor of this palace. 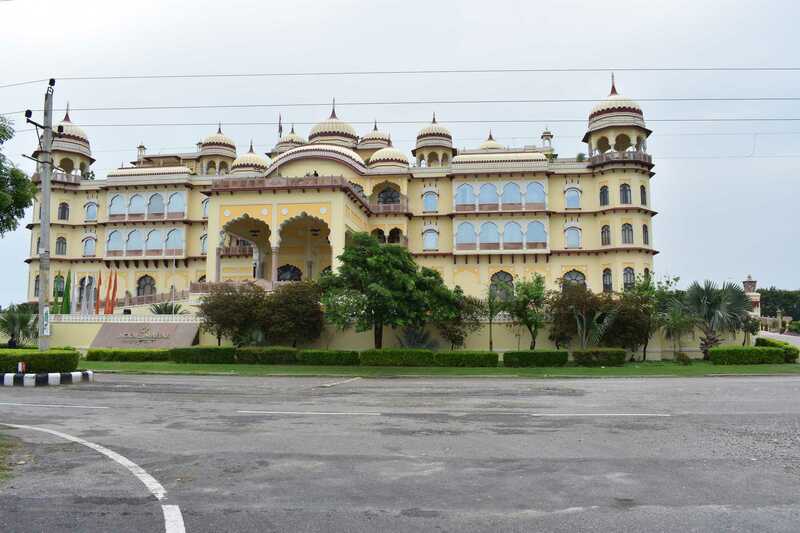 The palace resonates with the rajputana as well as Mughal style of architecture and design, complete with a Deewan-e-aam like courtyard, jharokas, chajjas, and intricate detailing of pillars and beams and other areas of the huge rooms. I spent most of my time just strolling around and taking in all the bits and pieces of fine art and design done on this beautiful construction. 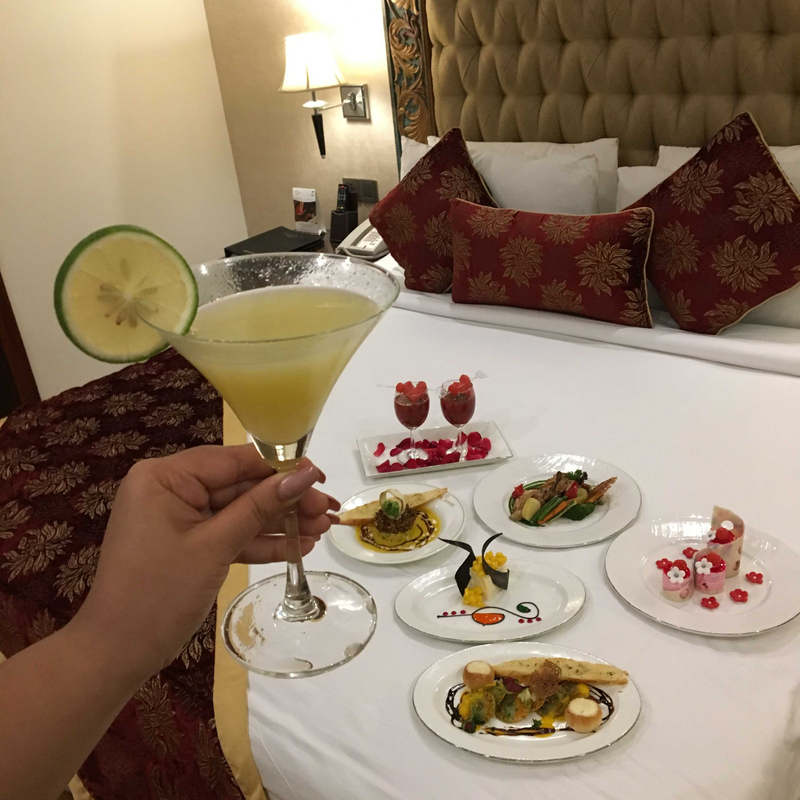 I was welcomed with refreshing drinks and a personal itinerary, which was extremely sweet of them to put together for me like that. My room was a piece of art. 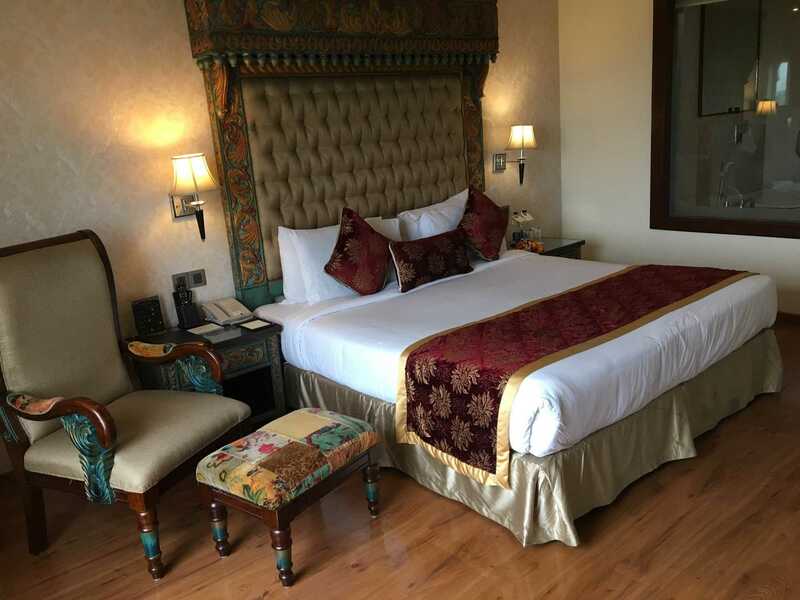 Fully furnished with regal aesthetics, I was going to live like a queen in the Maha Rani Suite. 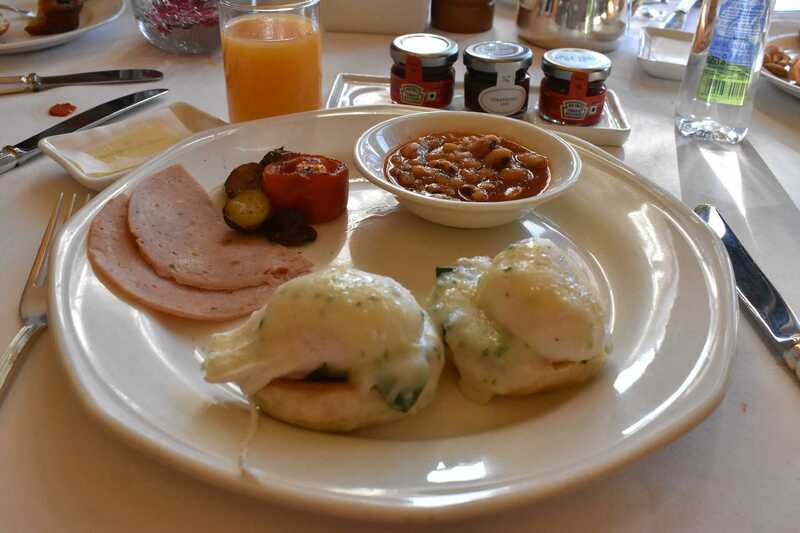 Breakfast meant everything I could imagine, I tried Belgian waffles, south indian idli, dosa, and vada, along with purialoo and a gorgeous fruit salad. Yes! All of that, but I obviously shared with a friend, don’t you worry about that! 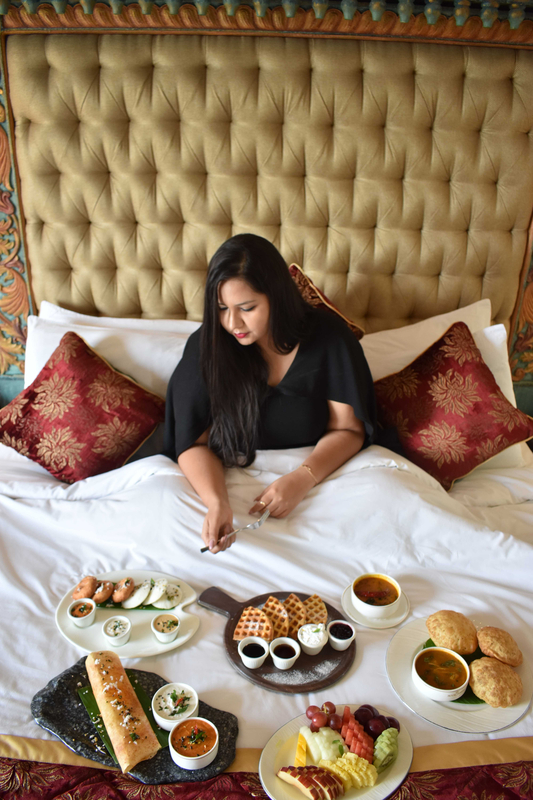 If I was going to stay in the Maha Rani suite, I had to have breakfast fit for a queen without a doubt! My sunhat was out and that meant it was time for a dip! The outdoor pool had a sunken bar and while I lazed around in the water I made the most of the cocktails and fruit salads while gliding around in the clear waters. After this, where do you think I went to next? The Spa, of course! The spa at the Noor Mahal has an inviting and they had a gorgeous swan towel art ready for me as I went for my wellness massage. 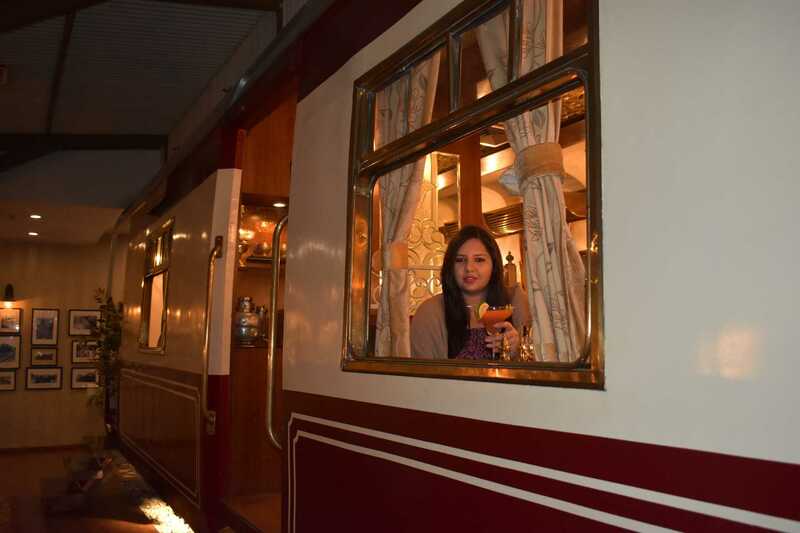 This was a pleasant experience because of the wonderful way they took care of me. I could easily judge that the staff here was experienced as well as cultured. The best feature in a hotel room is the room service menu on your bedside table. 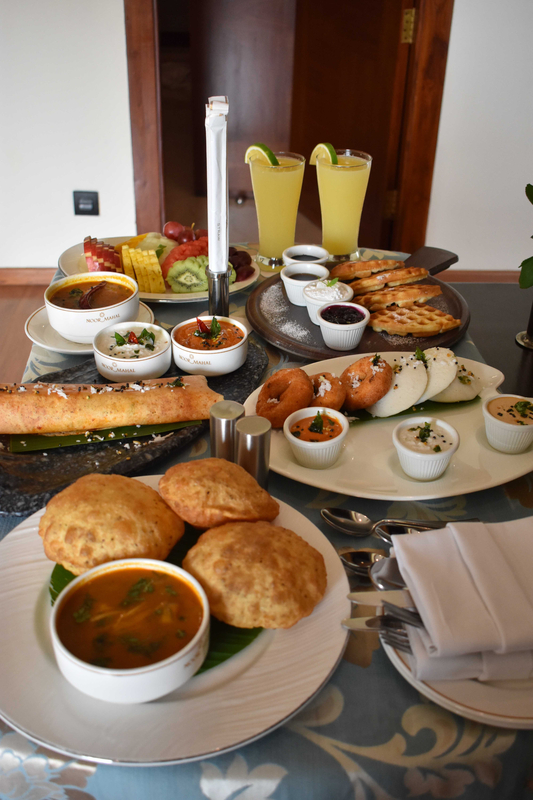 Taking full advantage of the lavish menu, I decided to spoil myself with a variety of snacks, sweet and savory and I can safely say that this ordering spree was worth it! I took a nice long nap on my queenly bed because my trip to the spa had relaxed my nerves and I needed to turn in for a while. This is what I was looking for when I decided to come to Noor Mahal and I got exactly that. Or wait, maybe there’s more! 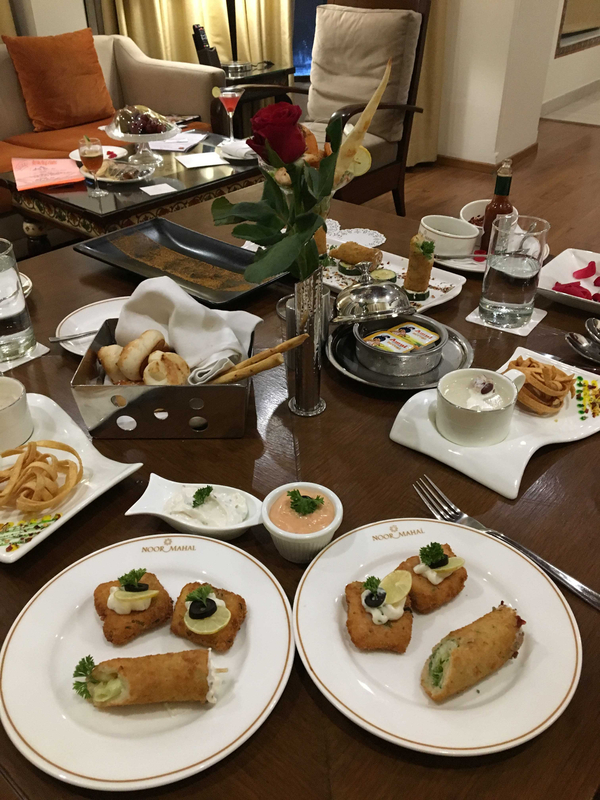 As evening fell, the aromas of mouthwatering delicacies came floating through the verandas and we were all set to satiate our hunger after a long day of indulging in luxury and royal ways of life. The food was perfect. 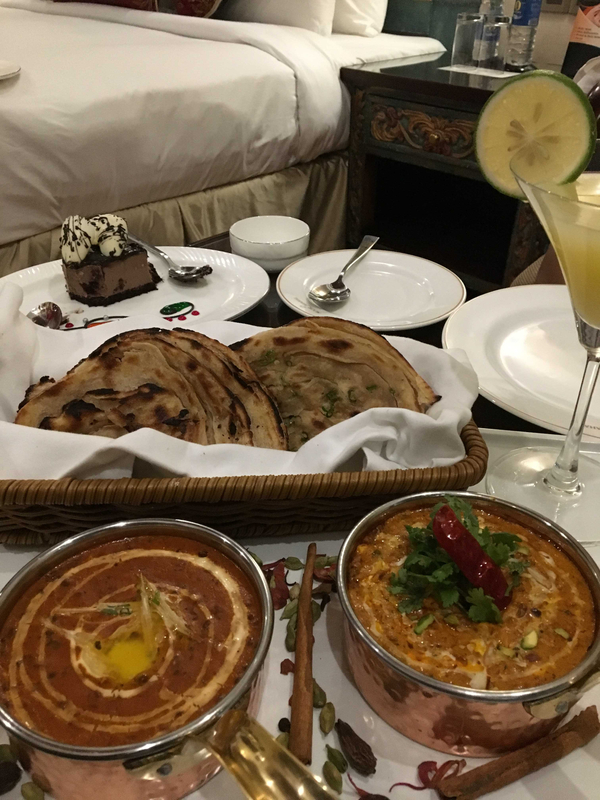 I had ordered lacchaparanthas with Dal Makhni and Butter chicken and it was heavenly; my compliments to the chef for doing such a good job! 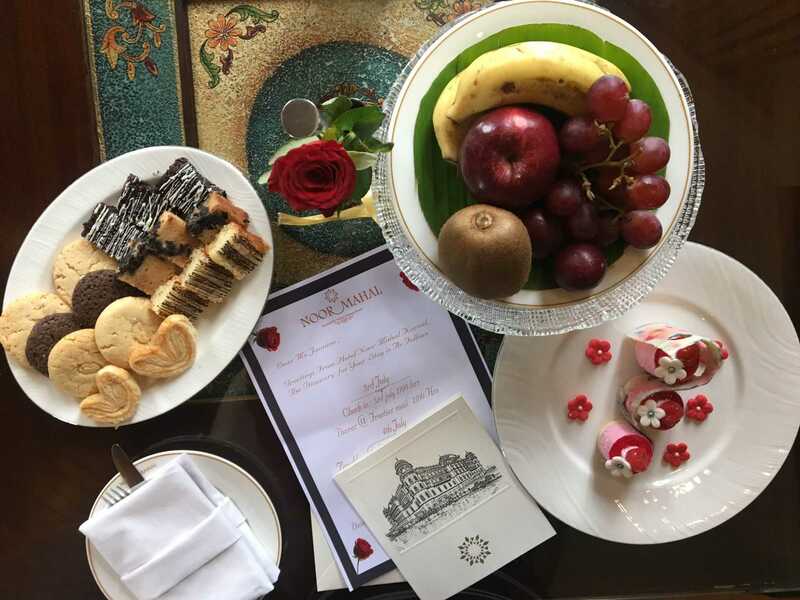 The hospitality of Noor Mahal in Karnal is immeasurable without a doubt. 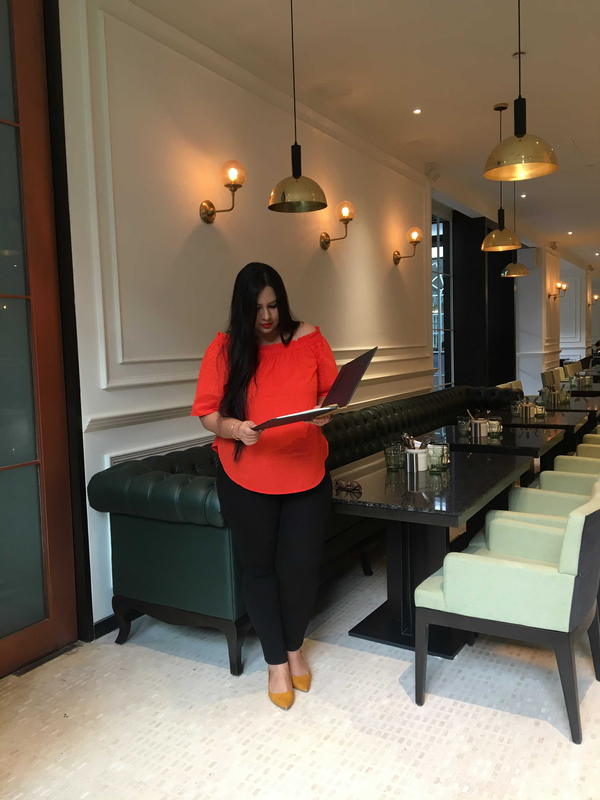 The kind of attention they pay to the details of your requirements or just their instincts towards what may make your stay comfortable is a highly commendable quality. 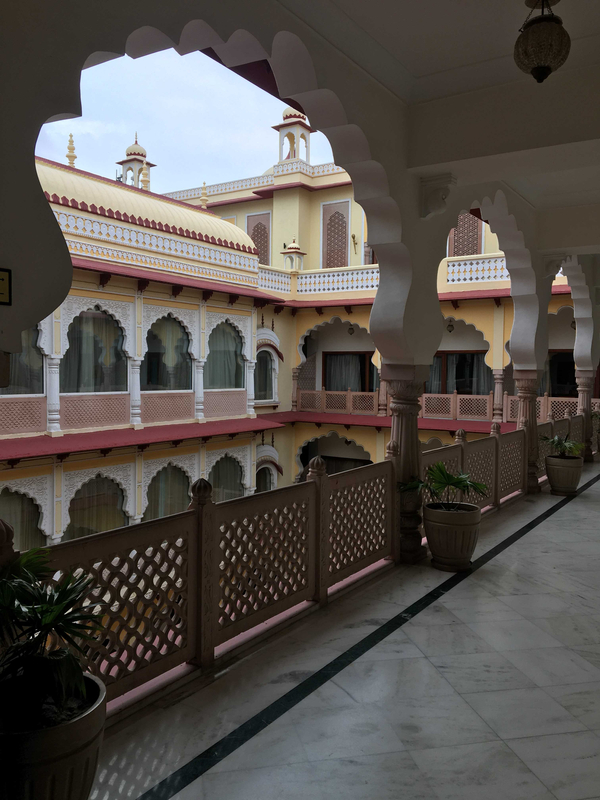 With all the fast paced commercialized properties coming up around the country, this mahal is the epitome of culture and heritage presented in the form of a hotel. 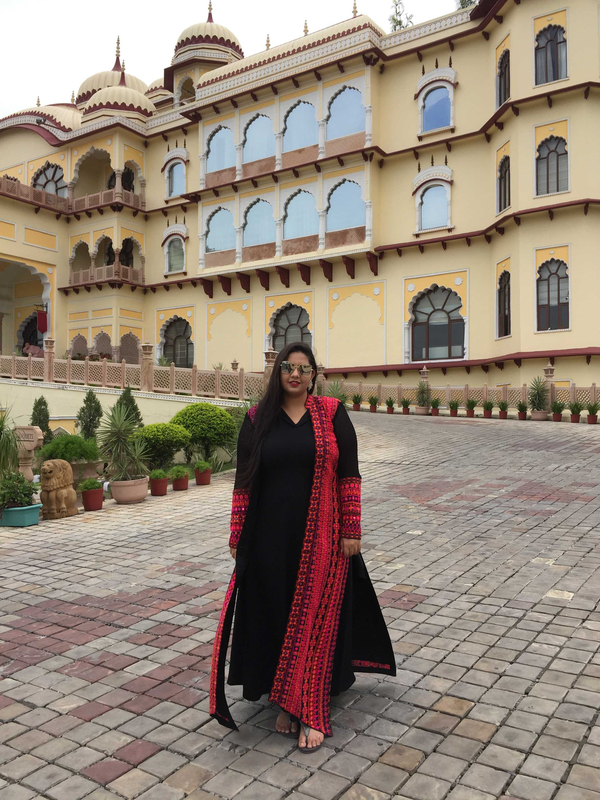 I would have definitely come here earlier had I known what a delightful experience it was going to be, but I am definitely coming back for more because walking into the Noor Mahal in Karnal was like walking into an Indian fairytale and I’d like to experience this more often!